The roof is the homes first line of defense against rain, snow, hail and ultraviolet rays from the sun. Most people think of the roof covering itself as “the roof”, but there are other parts to this system that are just as important and if all of this is properly installed and maintained, your “roof” will keep you comfortable and safe in your humble abode for many years. The shingles, underlayment, ice and water barrier, flashing, drip edges, sheathing and framing are all parts of what we call “roof”. 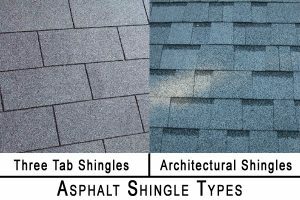 What is the Service Life of Roof Shingles? The most common types of roofing here on Long Island are asphalt 3 tab shingles, which have an average service life of 20 years, and asphalt “architectural” shingles, which are thicker and more decorative, and have an average service life of 30 years. 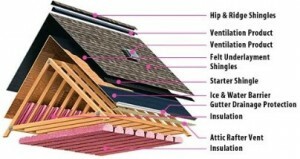 One layer of properly installed roofing is optimum. Of course, these roof coverings (shingles) don’t last forever and eventually will need to be replaced. When the roof covering (shingles) needs replacement, some owners, in an effort to save money, choose not to remove the old shingles and install the new shingles directly over the old ones. 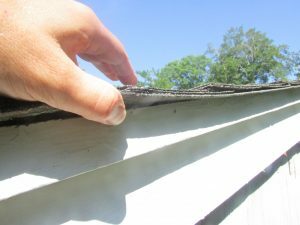 This lessens the life expectancy of the new roof covering, makes for a soft spongy surface and makes the roof more susceptible to mechanical damage from things like hale and fallen tree limbs. When the roof covering (shingles) needs replacement, some owners, in an effort to save money, choose not to remove the old shingles and install the new shingles directly over the old ones. 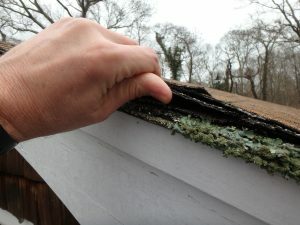 This lessens the life expectancy of the new roof covering, makes for a soft spongy surface making the roof more susceptible to mechanical damage from things like hale and fallen tree limbs. At Pace Home Inspections, I inspect all of the visible parts of this system to help you make sure your home stays comfortable and dry. For more information on roofs or other home inspection related questions, feel free to call me.